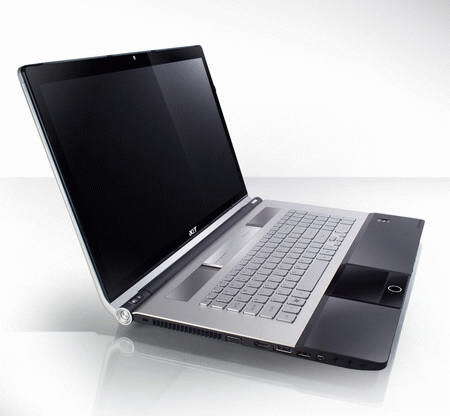 Acer recently introduced its high-end Notebook that belongs to its multimedia notebook family named Acer Aspire AS8943G.The new Acer Aspire AS8943G laptop comes featured with Ultimate Personal Theatre provides greater entertainment facility.The Acer multimedia laptop comes housed in an aluminum cover chassis that provides protection to the seamless frameless display. New Acer Aspire AS8943G powerful notebook comes equipped with an 18.4-inch edge-to-edge glass LED backlit LCD display with Full HD resolution and is powered with Intel Core i7 quad-core processor.The multimedia Acer notebook also brings an ATI Mobility Radeon HD5850 Graphics with 1GB of dedicated video memory.Acer Aspire AS8943G powerful notebook houses either a 4GB or 8GB RAM but is possible to support up to 16GB and a 500GB hard drive for storage option. The all new Acer Aspire AS8943G multimedia notebook Features 1.3 Megapixel HD webcam, Wi-Fi 802.11b/g/n, card reader, Bluetooth, bio-protection fingerprint reader, FireWire port, eSATA port, HDMI output, and Dolby Home Theatre Audio.The laptop brings a dual-mode touchpad that is integrated with facilities for switching between multi-gesture mode and media console mode. Acer Aspire AS8943G notebook comes in two model options-Acer Aspire AS8943G-6190 and Acer Aspire AS8943G-6782.The new Acer Aspire AS8943G multimedia notebook comes available with a price tag that starts at $1,549.99. 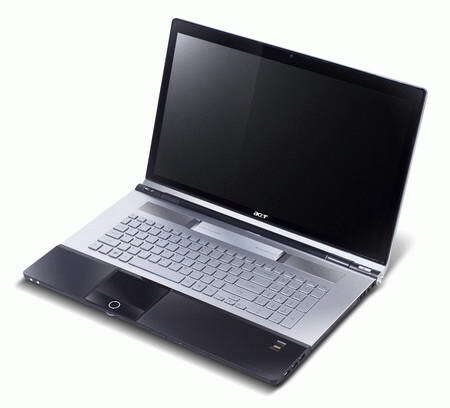 Tags:-18.4-inch notebook, acer, Acer AS8943G,Acer Aspire AS8943G Powerful Notebook features, Acer Aspire AS8943G Powerful Notebook specifications, Acer Aspire AS8943G Powerful Notebook price details, Acer AS8943G-6190, Acer AS8943G-6782, Acer Aspire AS8943G, Acer Aspire AS8943G-6190, Acer Aspire AS8943G-6782, Aspire, Aspire AS8943G, ati radeon hd5850, Computer, Core i7 notebook, Intel Core i7, multimedia notebook, Notebook, Powerful Notebook, radeon hd5850 notebook,Acer Aspire multimedia notebook features, Acer Aspire multimedia notebook price details.